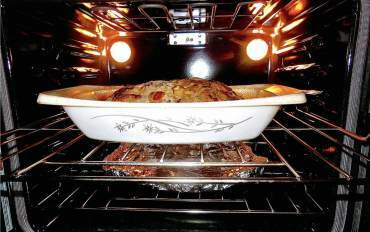 It is not so much the food, but also the casserole dish that was selected for the job, a white opaque Pyrex 2.5-quart casserole dish introduced in 1963. As ingredients were added, the meatloaf grew until it wouldn’t fit in a standard loaf dish or my smaller oval casserole dishes. It was then I realized that I should use this one old dish all the time. It is an odd shape compared to the other Pyrex opal pieces that were produced in the era of mid-’40s to mid-’80s. Today its use is limited because of the outside pattern. The gold glass application was OK when it was initially sold, but with the introduction of the microwave, Corning basically stopped using gold and silver designs on their cookware. 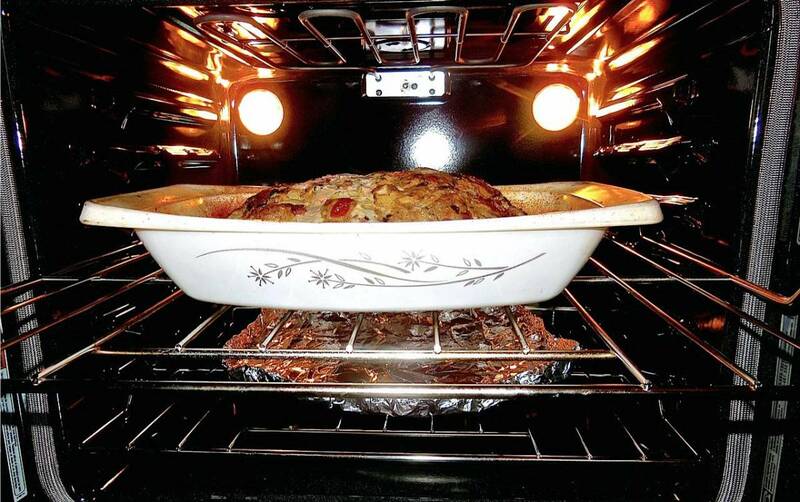 Not only did I discover this dish to be my most used baking item, but on this particular day made the best meat loaf ever. There was no recipe, just combing what was on hand. Have to share: ground elk, sweet Italian sausage from Sweeney Meats (located in Brownsville), lots of fresh garden basil, onion, organic oven-dried Roma tomatoes, eggs, garlic, celery seeds and season to taste. I loosely capped the concoction with aluminum foil and placed in preheated 400-degree oven on a middle rack. I wasn’t sure about the temp and turned down to 350 degrees after a half hour, and continued to bake another half hour. Then I took foil cap off, topped with catsup and baked 15 more minutes or more. I am married to Earl Sande of Earl’s Marine. Earl and I couldn’t believe how good it turned out. 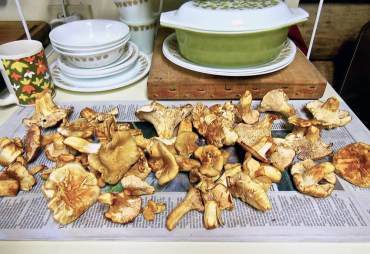 He being a hunter and fisherman, I am always on the lookout for wild game recipes. Oh, by the way, did I mention the side dish with the meatloaf — sautéed Chanterelle mushrooms!